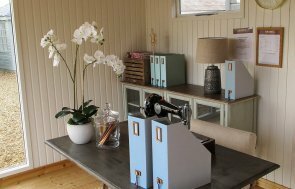 This salthouse studio was installed for use as an inspiring art studio and benefited from free delivery and installation by our specialist team of installers. We are an FSC® certified company and source our timber from a sustainably conscious mill in North Sweden. 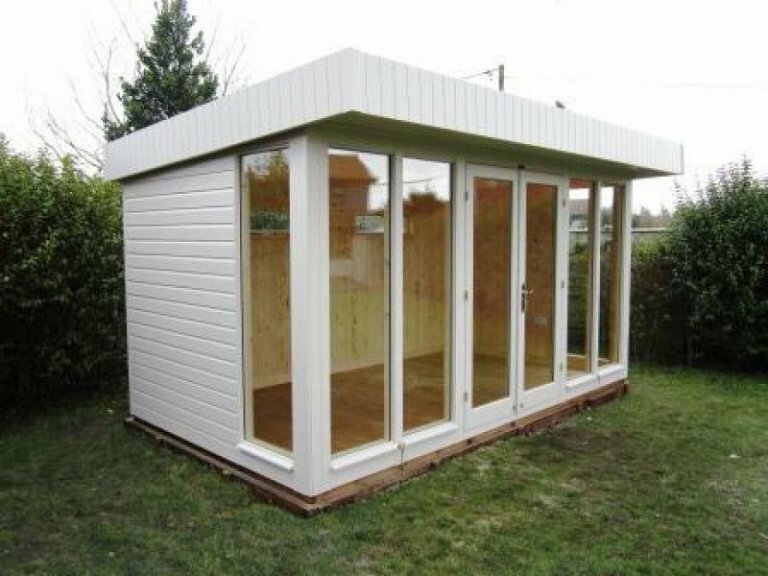 Using this material makes your garden room ideal for all weathers. The exterior walls were clad in Twine Valtti paint to blend in with their existing mature garden. The inside was finished in natural matchboard to work with the light provided by the full length windows and was positioned overlooking their garden pond to provide maximum inspiration. There's also a couple of smaller windows situated at the back of the building, letting even more light in from that direction. Our Garden Studios offer a year-round place for you to enjoy. The standard features include double glazing, full installation and solid pine internal lining. 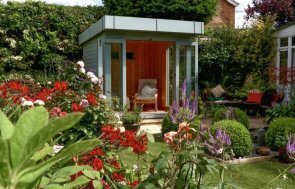 If you want a hobby room, a garden office or a retreat to enjoy your garden from, we can help. 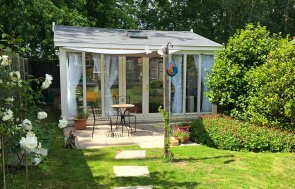 All of our garden studios are handmade to order in our Norfolk based factory by our expert team of craftsmen which means high-quality is guarenteed with every garden building.